1. Volunteer. We all see ways we think the world could be a better place. Let International Volunteer Day – held on 5th December – spur you to actually do something about it. Aussies can find local opportunities that match their skills at ActNow or Volunteering Australia. 2. Have a drink. In the lead up to Christmas, it might seem like you've got quite enough excuses to drink, but just in case you need one more – 5th December is the anniversary of the end of Prohibition in the U.S.
3. Listen to classical music. 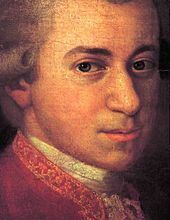 Wolfgang Amadeus Mozart – arguably the most famous composer who has ever lived – died on 5th December 1791. Curl up on the couch and experience for yourself why this man has been so long remembered. 4. Visit a Theme Park. 7th December is 'Fairy Floss Day' (I know, I know - they have a day for everything). Take a big bag of sticky sweetness on the Ferris Wheel and appreciate the view. 5. Watch the eclipse. On 10th December, a total lunar eclipse will be visible across Australia. Have a midnight picnic and watch the moon turn red as it moves through the Earth's shadow. 6. Wear suspenders. This particular fashion statement was invented by Mark Twain, and first patented on 19th Dec 1871. 7. Do a crossword. The first version of the modern crossword was published in a New York newspaper on 21st December, 1913. 8. Celebrate summer solstice. Throughout history, people and cultures across the world have felt the urge to somehow mark the longest day of the year. This has led to a veritable smorgasbord of traditions you can choose from to build your very own summer solstice celebration. This year it's on 22nd December. Build a bonfire on the beach (if you can find somewhere you're allowed, which might be a challenge), burn incense and / or candles, go out dancing, or seek out a performance of Shakespeare's A Midsummer Night's Dream. If you really want to get into the Celtic spirit, dance naked under the stars. 9. Celebrate Festivus – a holiday 'for the rest of us'. If Christmas isn't really your thing, perhaps Festivus might suit you better. It's a secular holiday, held on 23rd December, for those of us who aren't religious and / or don't really want to participate in the commercialism of Christmas. Get together with friends and family for a meal and games. 10. Play cards. 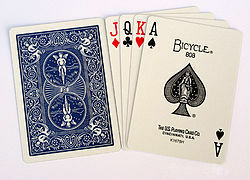 December 28th is Card Playing Day. Playing cards are cheap and widely available (check out the supermarket, corner shop, or even 7-11). What you play is up to you. If you need ideas, check out this website. If you don't have anyone to play with check out your online options, visit the local casino, or just play solitaire. My favourite parts of Festivus are the Airing of Grievances and Feats of Strength. I've been in training all year to beat the pants of my brother!